Whether you are new to the workforce or a seasoned professional, pursuing a new position can be overwhelming. With so many things to consider -- your resume, your cover letter, your interview preparation and your career goals -- it is easy to get lost along the way. 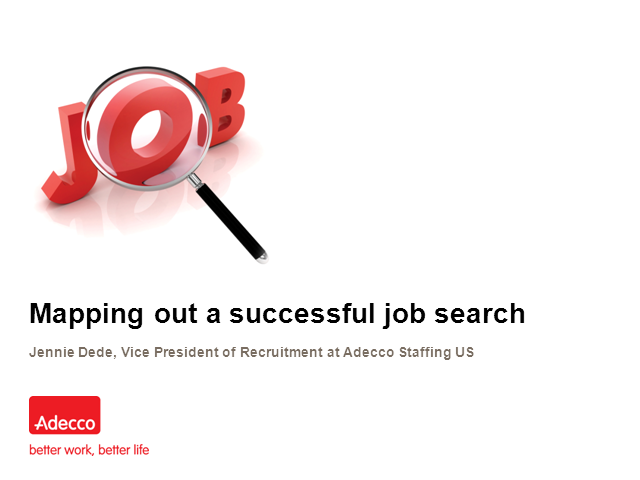 Fortunately, our upcoming webinar “Mapping out a successful job search,” can help make sure you stay on the right path.